When you play games, like Counter-Strike Go, Dota 2, it is not uncommon that the error message that Failed to create D3D device pops up on Windows 10. If it is the case, it implies that something went wrong with your D3D device, or in other words, the graphics card driver and the game options in games like CS GO, Left 4 Dead 2, and Portal 2. Therefore, to some degree, you need to take targeted measures to deal with this D3D device failed to create error on Windows 10. What is the D3D Device? Here D3D device refers to Direct3D, which aims to render three-dimensional graphics for performance-required applications, especially games. From the concept of the D3D device, you can better understand why this failed to create D3D device is more of a graphics issues. How to Fix Windows 10 Failed to Create D3D Device? Considering failed to create D3D device please see the following for more info CS G, Portal, Counter-Strike, Global Offensive, you are supposed to try to resolve it by virtue of updating the display driver, changing the gaming options, and restarting the graphics services on Windows 10. First and foremost, you should manage to uninstall the video card driver in case your CS Go is plagued by the D3D device failed issue on Windows 10 due to the problematic graphics driver. To attain this goal, you may as well firstly attempt to turn to Windows embedded-in tool- Device Manager to get the graphics driver removed from Windows 10. 2. 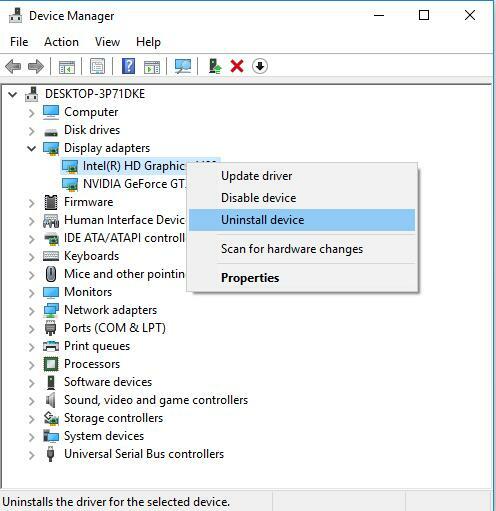 In Device Manager, expand Display adapters and, and then right click your graphics card driverto Uninstall Device. Here your display card may be AMD HD Graphics card or Intel HD graphics card. 3. 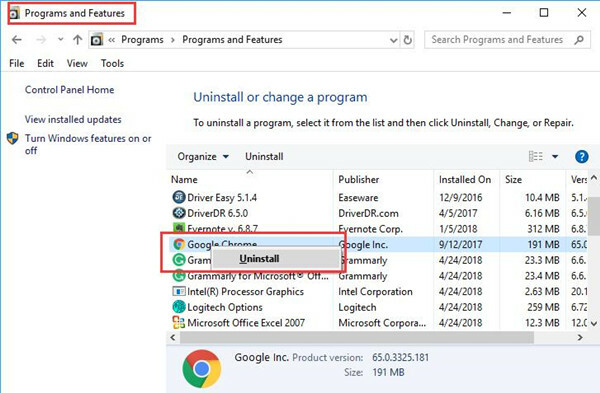 Confirm to Uninstall your display drivers, such as AMD driver, Intel driver, or NVIDIA driver. In some situations, you can check if failed to create D3D device CSGO or Portal error persists on Windows 10. Here, normally, your graphics driver can be regained from in Device Manager. So if you are determined to completely get rid of the display card driver, you need to head to Control Panel > Uninstall a program > Programs and Features. Then in the Programs and Features window, find out your graphics card driver and then right click it to Uninstall it. 4. Windows 10 Device Manager will be installing the updated graphics driver for you. Once rebooted Windows 10, some of you may find failed to create D3D device TF 2 or CS GO has been resolved. If not, move on to install the most up-to-date driver for your graphics card on Windows 10. In a large sense, it is the outdated or corrupted or even broken display driver that results in CS GO failed to create D3D device on Windows 10 or on any other games. That is why here you are supposed to get the latest graphics driver. To save your time and energy, you may as well take advantage of the best driver updating tool – Driver Booster, from which you can find the graphics driver you need easily in the incomparable database of drivers. Or even if you found the newly updated driver can’t fix failed to create D3D device error on Left 4 Dead, Left 4 Dead 2, Portal, it is feasible for you to roll back to the previous driver version since Driver booster has backed up it for you. 1.Download Driver Booster, and then install, run it on Windows 10. 2. 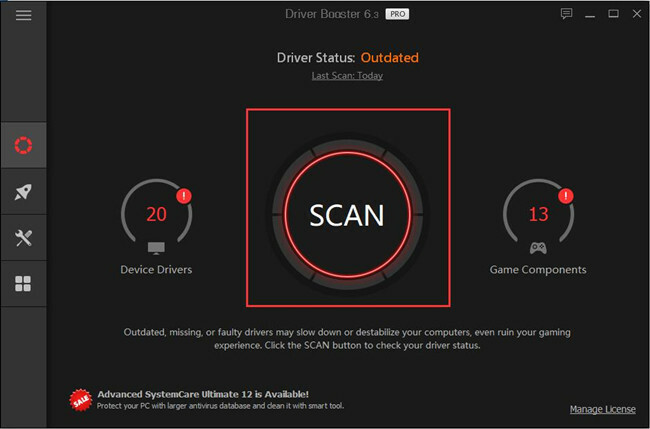 Stroke Scan to start scanning for the outdated or even missing drivers. 3. Then pinpoint Display adapters and hit Update to update your display driver. 4. Scroll down to find out Game Support and then click Update to update it as well. 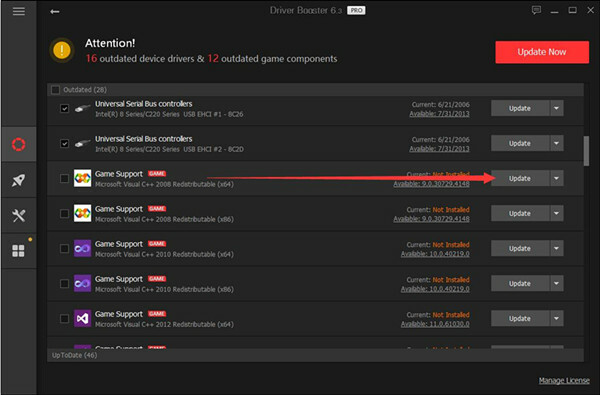 Here since failed to create D3D device mostly happens to games such as CS GO, Counter-Strike, you may as well make full use of Driver Booster Game Support to see if it can get the crashing games back. On the left pane of Driver Booster, hit the Boost icon and then Turn on Game Boost. 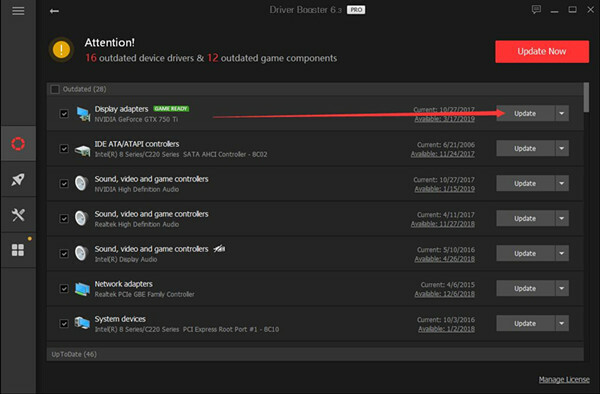 After Driver Booster finished its working, open your CS GO or Portal, Steam games or non-steam games to check if failed to create D3D device will show up. Or you can also turn to the official site of the display card to download the latest driver on your own if possible, such as AMD driver or Intel graphics driver. 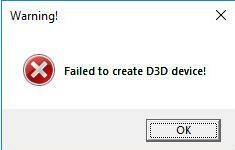 In some cases, it is possible that some choices in your game, such as the launch options, can bring forth create D3D device error on Windows 10. So there is much need for you to change Lego Star Wars, CS GO, Portal launch options for your game in the hope of fixing the failed to create D3D device on Windows 10. Launch options for games enable gamers to change the internal settings of the game like CS GO and TF. In short, adjusting gaming launch options can be a good way to recover from the incompatible graphics card settings. So it is also an efficient and effective method to resolve Windows 10 failed to create a D3D device. 1. 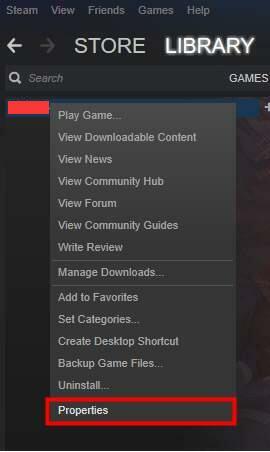 Open Steam client and then enter the Steam Library. 2. Then right click the problematic game to navigate to its Properties. Here right click CS Go or Dota 2 if any of them are infected with errors. 3. After that, in the following window, under the General tab, choose Launch Options. 4. Then in the box, type in -dxlevel <level> and then hit OK to save changes. As for what level of DirectX you should input, it depends on your DirectX version. 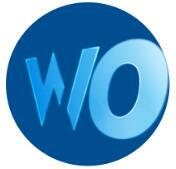 But the most commonly used ones are -dxlevel 80, -dxlevel 81, -dxlevel 90, -dxlevel 95, -level 98. Here if your game is Left 4 Dead, Left 4 Dead 2, Portal 2, or Counter-Strike: Global Offensive, you need to enter –dxlevel 90. But if not, in most cases, you have to input –dxlevel 81. Otherwise, you need to consult the manufacturer of the game. 5. Close the Steam client. 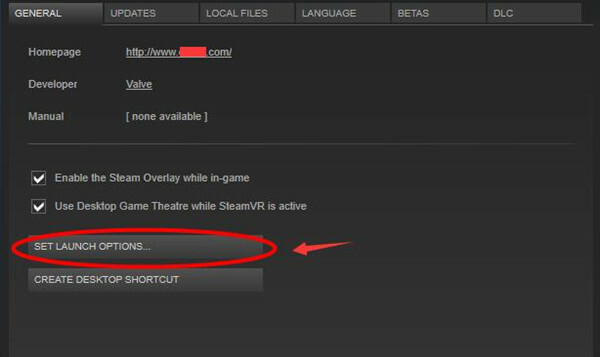 Under this circumstance, you will have changed the settings for the CS Go or other games. This time you can observe that the D3D device issue disappeared from Windows 10. Your graphics card works properly for the games. 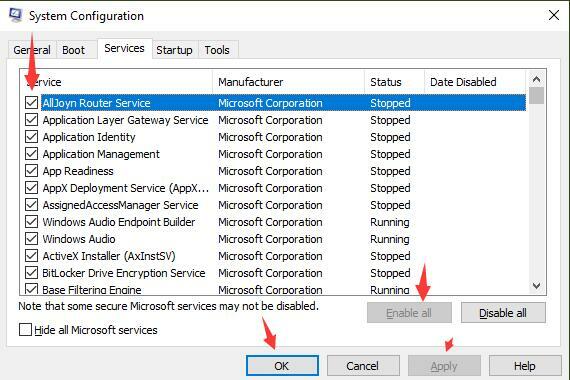 Now that this failed to create D3D device is closely related to the graphics card on your PC, it is wise for you to ascertain all the services relevant to it are enabled on Windows 10. You can endeavor to enable the NVIDIA, AMD, Intel HD graphics services to cope with the CS Go D3D device error. 1. Search System Configuration in the search box and then press Enter to go ahead. 2. In System Configuration, under the Services tab, tick the box of all the graphics-relevant services and then hit OK to enable them all. Or for some people, maybe restarting your PC is helpful and recovers your normal games on Windows 10. And you can also work hard to check for Windows 10 updates in Update & Security > Windows Update. All done, obviously, the D3D device failed to create has also been resolved and you would be qualified to enjoy your games as you wish on Windows 10. To put it in simpler words, once you encountered this Windows 10 CS GO, Dota 2, Global Offensive, etc, failed to create D3D device in games, you can try the solutions above at first.